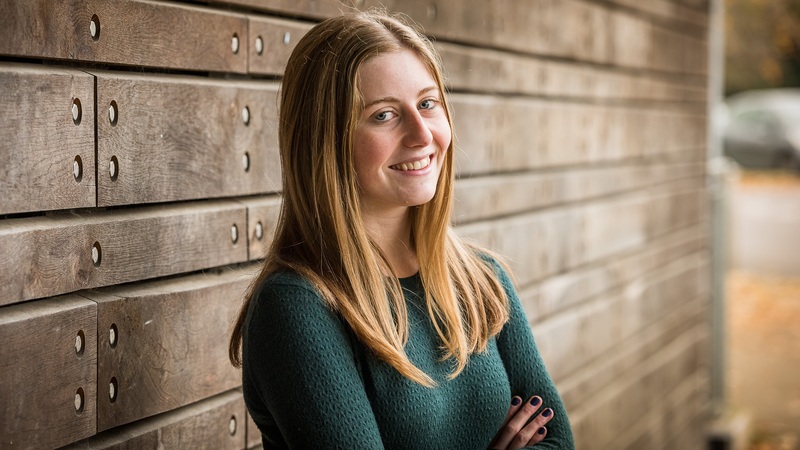 Mathematical Sciences student Charlotte Ware enjoyed the business trips during her placement as a financial analyst. The support from the company was excellent and my manager was approachable and always available. I was attracted to choosing a placement because I wanted to gain experience of real-life situations in the world of work and apply my theoretical knowledge. My main role at finance service management company PRGX - where I worked as a financial analyst - was to complete audit reviews of supplier accounts. My ability to analyse data improved enormously and I became more proficient in Excel and Access. I also felt more confident about speaking in a formal setting having been exposed to a work environment. The support from the company was excellent and my manager was approachable and always available. The investment they made in their placement students was best highlighted by a team-building trip to Bilbao and Pamplona in Spain, which included visiting the Guggenheim and annual BBK rock festival. Towards the end of my placement we also had a team-building day in Hyde Park, to welcome the students replacing us. I’d definitely recommend a placement year as it’s been invaluable to me in shaping my future career aspirations; I’m keen to look for a role which keeps me in data analysis. My advice to other students is to read up on the role and company before applying for jobs and keep your CV concise.